Forecasts say that when the free trade agreement between ASEAN and China (ASEAN + 1) becomes effective in 2015, Vietnamese products will face trade protection from countries in the group with ASEAN consumers leaning more towards Vietnamese products. 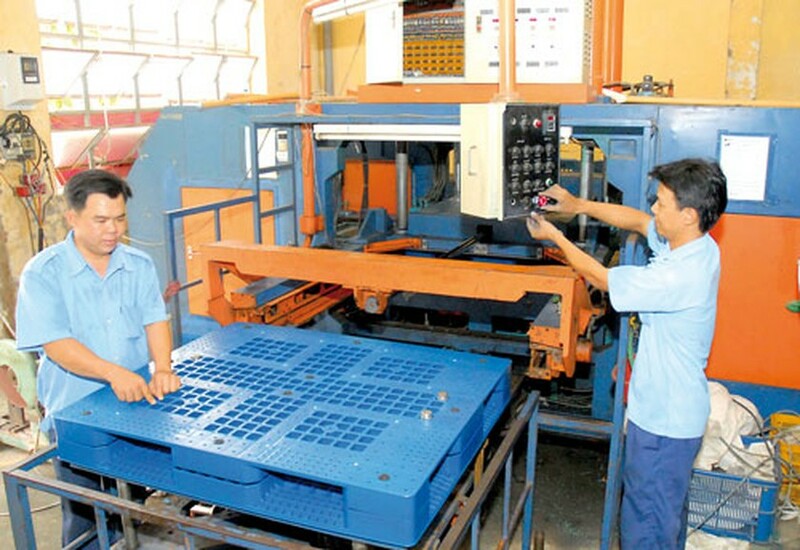 Vietnamese firms have been trying hard to introduce their products in the ASEAN market and are expecting further support policies to develop growth sustainably in the future. Tran Ngoc Thanh, an overseas Vietnamese businessman in the Philippines, said that the Filipino market has recently started to take interest in Vietnamese products. During his trip back to Vietnam a fortnight ago, Thanh sought partners for plastic household products, to fulfill orders in the Philippines. Nguyen Vu Tu, Vietnam’s Ambassador to the Philippines, also said that many Filipino firms have proposed to cooperate to open a chain of Vietnamese food stores in the country. In the Philippines, food items, coffee, and household goods of Vietnamese origin are preferred and in high demand. 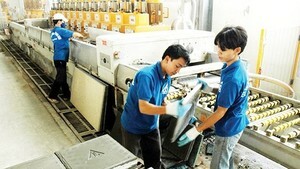 However, most Vietnamese products sold in the Philippines are imported from Singapore. Therefore, Mr. Tu advised that Vietnamese companies should approach this market directly. In a meeting with Vietnamese firms, many Singapore businessmen said that despite severe competition in the Singaporean food industry, ‘Pho’ restaurants or dragon fruit from Vietnam has successfully built a brand image. At the Asia Pacific Food Expo in Singapore last year, people had queued up for Vietnamese coffee. In addition, many companies also revealed that thousands of food producers in Singapore were in need for material source and were seeking business partners to import material from Vietnam. Data given by the General Statistics Office showed that currently ASEAN market was the third largest importer from Vietnam after the EU and US markets. In 2012, exports from Vietnam to this market touched US$17.08 billion, up 25.7 percent over the previous year, accounting for 14.9 percent of total export turnover of Vietnam. In fact, there was a huge demand from countries in the ASEAN group for Vietnamese products. For instance, in order to ensure food supply, Cambodia International Development and Investment Joint Stock Company had coordinated with Vietnam Southern Food Corporation (Vinafood 2) to establish Cambodia-Vietnam Food Company which specializes in production, procurement, transportation, processing, preservation, storage, trading, import and export and other services related to food in Cambodia and other countries. In Myanmar, after approaching this market for a short time, steel products by Huu Lien Asia Corporation have dominated its steel pipe market, ousting made-in-China steel production. Despite several optimistic signs, experts warned that in 2015 when the so-called ASEAN + 1 free trade agreement officially takes effect, import tariff on many products will be cut to zero percent. Hence, in order to protect the local manufacturing industry, countries in the group have been building technical barriers and trade protection against imported products which raised concerns that it is easy to import products from the ASEAN into Vietnam but it is difficult vice versa. Despite these challenges, many firms have penetrated the ASEAN market to study demand, technical requirements and set base for a distribution network and get consumers to using Vietnamese products so as to ease marketing pressure later. Tang Quang Trong, sales manager of Dai Dong Tien Plastic Company for Indochina, said that to increase its distribution network, the company had built a warehouse in Cambodia and signed contracts with Burmese partners to become a supplier in Myanmar’s market. Currently, the company has increased its export ratio to more than 10 percent of its total production. In 2003, Vietnam Fan Joint Stock Company exported a consignment of electric fans under Asia brand name to Malaysia. At that time, this product line had already met the country’s technical requirements and was sold at a reasonable price. However, after that order, the company has not had any contract. After a survey, the company found out that this was because it had not approached through the distribution network in that country. After making up this shortcoming, the company has received big export contracts to Myanmar, Thailand, and Malaysia. When the ASEAN + 1 agreement comes into effect, there will be fierce competition among ASEAN countries to win market share in the common market. In this context, countries in the ASEAN have opened many training courses to prepare the business community to join the common market, while the Vietnamese Government has not had any similar activity to help local firms. Some Vietnamese firms have been successful in building a good reputation in the regional market, but this success is insular. If there were a general support policy, this would help larger firms to increase competitiveness and make it easier for young companies to enter the common market.